Handcrafted gifts fill our shop. Knives can last for generations and we do "MAKE" some of the knives in our shop. 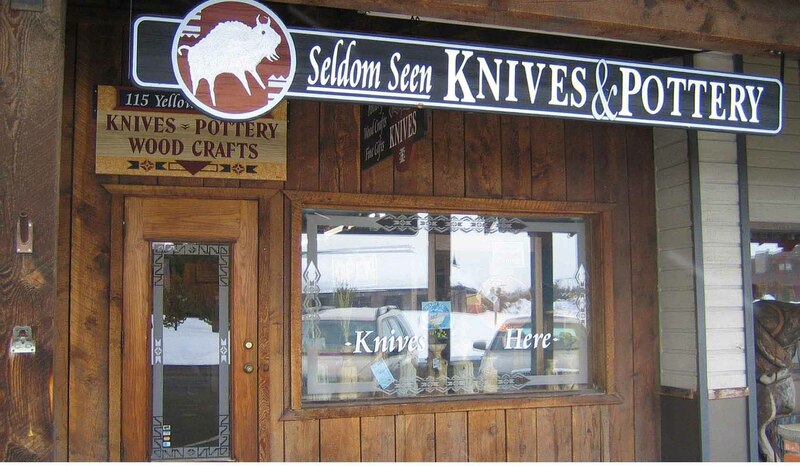 Knifemaker;Steve Hulett has lived in West Yellowstone since 1972. We call it 'art for your wall and your hip.' You can walk through our shop and see 'Montana Made Products.' Pottery, wood crafts, Montana Copper and so much more. We can sell you a wonderful lasting memory. Authorized knife dealers for Case, Boker and Bear. Check our shop out on Facebook.